This is open acknowledgement that the operation, which the U.S. is financing (and Ukraine is bankrupt so it can never reimburse its donors), is actually an ethnic-cleansing campaign. “I want to offer the Ukrainian artillerists medals, to those who shell the city [Donetsk], the houses and the civilian population, … for they [artillerists] have deserved it [medals], both because of the accuracy and inaccuracy. … It’s one thing if attack groups or any mobile mortar troops drive through the city and shoot, … but if the artillery units fired from the airport [i.e., from the distance], then no one can claim that the separatists shoot themselves [i.e., that the people who are being killed in the city are victims of separatist troops mistakenly hitting passers-by when aiming at Government troops. He is saying that artillerists will clearly get the blame, whereas street-fighters can always blame the ‘terrorists.’]. … The shelling there is done as intimidation, … not just object destruction, but intimidation [to get the population to flee to nearby Russia]. The civilian population is intimidated by a chaotic bombardment of different objects. There are many shells that plug directly into the streets or vegetable gardens [and so make the very ground on which these people live terrifying to them]. INTERVIEWER: This refers to those that didn’t explode? ANSWER: Yes, … there are many of those, … shells that fail to detonate. But Gorlowka has been fortunate to have not yet been totally eradicated from the face of the earth, along with the civilian population. INTERVIEWER: You mean that the city is bombarded violently? ANSWER: Gorlowka was shelled by our troops, [even] as I went there for the prisoner exchange. Although it was known that I was there, they [our troops] kept up the bombardment of Gorlowka. General Ruban might not have know it at the time of his interview, but on February 1st, Life News in Russia bannered “Militia DNR: Ukrainian Army Uses US Missiles,” and reported that in Gorlovka were found “shells that do not belong to Ukrainian artillery, and even more so do not use Soviet or post-Soviet military equipment. According to their hypothesis, the weapons are from NATO. Deputy brigade commander Army DNR [Donetsk People’s Republic] callsign ‘Biker’ showed shells and said that … this is a special projectile 155 caliber self-propelled artillery of the M109 A1 American production, which is used by NATO countries.” Furthermore, “The presence of foreigners in their army and radio intercepts confirms our intelligence when we hear in interceptions, phrases in English and Polish.” Germany’s Bild, and Britain’s Mail, are also among the international news organizations that have previously reported on American mercenaries, including the former notorious Blackwater organization, ‘advising’ the Ukrainian army in this war. The finding of U.S. military provisions on the battlefields in Donbass is, furthermore, routine; but U.S. soldiers, like Russian ones, are probably not fighting there. Ukraine is only a proxy war between the two major nuclear powers, not yet a direct war between the nuclear powers. “How the Elite UA [Ukrainian Army] Troops Were Defeated by the Militia. Interview with Commander Kedr” (head of the anti-Ukrainian-Government Semyonovka battalion in the outskirts of Slovyansk): How did you manage to defeat them? ANSWER: The most surprising thing is that they were eliminated by the [rebel] militias, who haven’t graduated from any military academies. Many of them haven’t even served in the army before. The majority of them had only for the very first time recently taken weapons in their hands [they hadn’t previously owned or used even a gun]. I think that victory … [resulted from] … the high motivation of our troops, and it was guaranteed by the high morale, the example that was being given by the commanders who were taking part in the fight themselves. It provided such a result. Good trophies [weapons] were captured then, … [and it even] happened before the Ilovaisk cauldron [when the enemy was encircled], and at a time when the situation was very difficult for the militias themselves, … [so] there was only one injured soldier from our side in that battle, but from the enemy’s side were killed 15-12 men, practically all of them [that were fighting]. … Six [of them] were taken captive. [The battlefield is shown with enemy corpses]. … Our unit arrived to collect the corpses of two of their shot-down pilots. But the enemy managed to save one of their pilots. I repeat: Our troops weren’t professional military but people like miners and trolley-bus drivers. [3:17] I’d say to Ukrainian mothers that our soldiers have nowhere to retreat from their own land, while the enemy have a chance to turn around and go home. [4:14: video is shown of the enemy’s combat ration.] It’s an American combat ration. 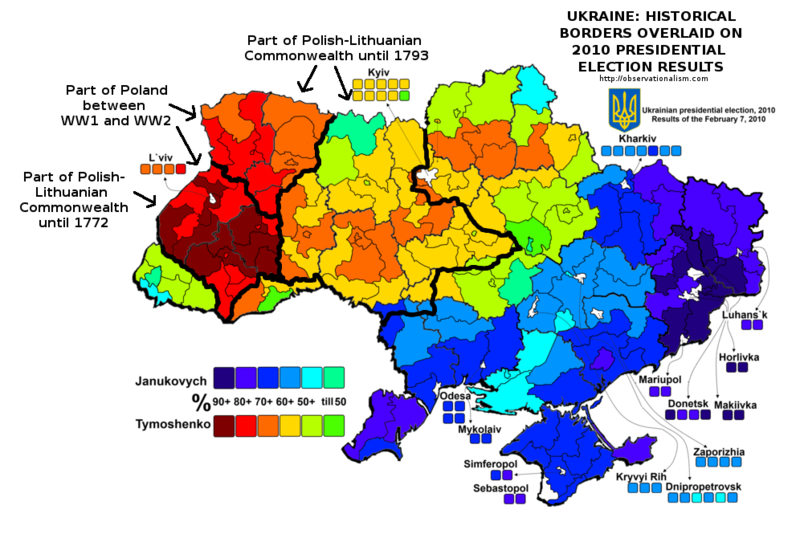 The actual reason why this southeast-Ukrainian ethnic-cleansing campaign is necessary for Obama, who installed the current regime in Ukraine, is that, if it is not done, and, if the people who lived and voted in the Donbass region (Ukraine’s far-east) were still to remain there and allowed to vote there as being citizens of Ukraine, then they would vote at least 90% against the regime’s candidates, and for moderates, because, even before the regime had started to exterminate these people, they had voted 90% for Viktor Yanukovych in the last democratic Ukraine-wide Presidential election (which was back in 2010), and he was the very same man whom Obama overthrew. Now, after this extermination-campaign, the vote there against the Obama stooges would be virtually 100% — not just 90%. In other words: Obama needs to get rid of those people. They can die, or else they can flee to Russia, but Obama needs them gone from Ukraine. As regards why Obama had wanted their land to begin with, it was because unless the gas and other assets in the ground there can be privatized or sold off by the Ukrainian Government to pay its debts, the Ukrainian Government will go bankrupt and become an enormous drag on everyone who had previously lent to it, including the U.S., IMF, EU, World Bank, and others (ironically including even Russia). 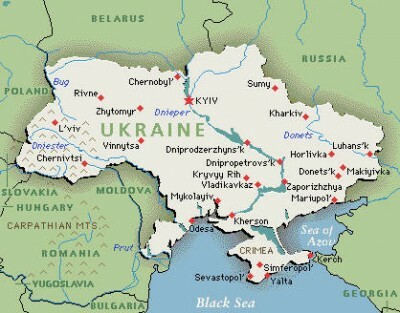 Now that the situation is becoming increasingly clear that this land will not be able to be controlled by the Ukrainian Government, Obama’s best bet (in terms of his objectives) is to allow the war simply to end with Ukraine’s defeat, so that no more good money will go to Ukraine after the previous bad money is thus lost, but just cut the losses and bring this truncated and rabidly anti-Russian western half of Ukraine into NATO for the goal that is, apparently, Obama’s top foreign-policy objective: surrounding Russia with U.S. nuclear missiles and with regimes that hate Russia, in order to get Russia’s capitulation to America’s aristocracy. Vladimir Putin wants Donbass to instead remain a part of Ukraine, as a counter-weight there against the rabidly anti-Russian voters in Ukraine’s western region, so as to produce yet another Yanukovych-like leadership in Ukraine and thus reduce the likelihood of a global nuclear war (which would be Russia’s only alternative if Obama were to succeed in his surround-Russia-with-missiles plan). After all: John Fitzgerald Kennedy didn’t like it when the Soviet Union in 1962 tried to place nuclear missiles in just one location near the U.S.: Cuba. For Putin, Ukraine is like a nuclear Cuba was to America, but more like around ten nuclear Cubas, in Russia’s case. For Ukraine to join NATO would, perhaps, alone be sufficient threat to Russia so as to produce an immediate Russian nuclear attack against the U.S. and other NATO nations (a pre-emptive Russian attack, against us). The insane ones there would be the U.S. and any nation that supports it — the nations that then are clearly aiming to ‘conquer’ Russia. The U.S., under Kennedy, refused to stand for it in reverse; and Russia, under Putin or any other leader, shouldn’t stand for it, either. NATO needs to end, immediately. It had started as an anti-communist club, and was then valid; but what it was and is after the end of the Soviet Union, is the greatest threat to the entire world. It is now nothing but an anti-Russian club: not just insane, but also evil. The only beneficiaries of today’s NATO are the West’s arms-merchants and other military suppliers. For everybody else, it’s catastrophe waiting to happen. So: that’s the reason why the United States has been supporting (and, until now, even demanding) an ethnic-cleansing campaign in the former Ukraine. It’s part of the evil and supremely dangerous insanity that is NATO.